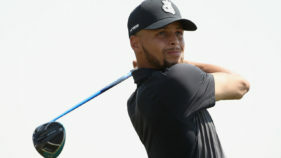 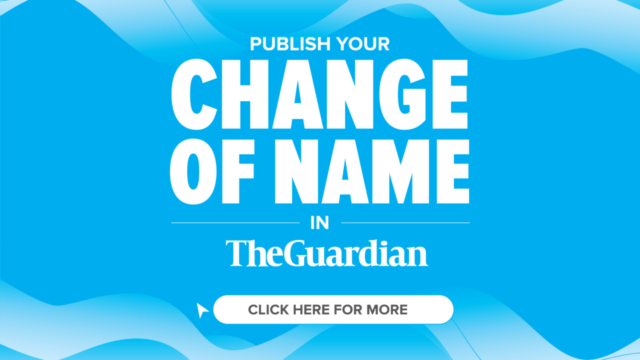 Stephen Curry trailed the leaders by eight strokes after shooting a one over 71 on Thursday in the opening round of the Web.com Tour's Ellie Mae Classic. 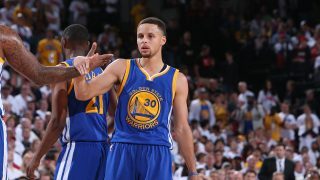 Golden State Warriors superstar Stephen Curry has clinched a new five-year deal worth $201 million, the richest contract in NBA history, ESPN reported on Friday. 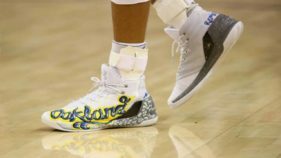 A pair of Stephen Curry game-worn shoes fetched $30,101 dollars Friday at an auction for victims of a deadly warehouse fire in Oakland, California. 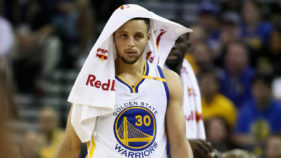 Stephen Curry set a new single-game record with 13 three-pointers as the Golden State Warriors downed the winless New Orleans Pelicans 111-99 on Monday. 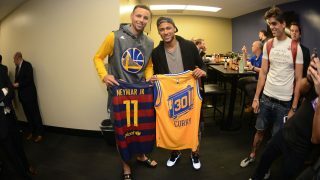 NBA Most Valuable Player Stephen Curry swapped jerseys with Brazilian football star Neymar on Sunday after Curry helped the Golden State Warriors rout Cleveland 110-77 in the NBA Finals. 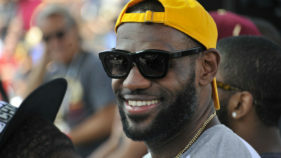 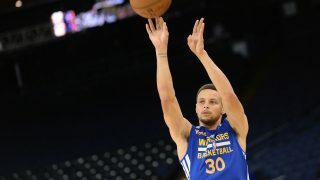 Stephen Curry has called on the Golden State Warriors to build on the momentum of their remarkable comeback win over Oklahoma City as they prepare to face LeBron James and Cleveland in the opening game of the NBA Finals on Thursday. 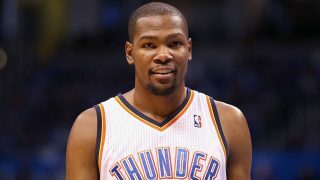 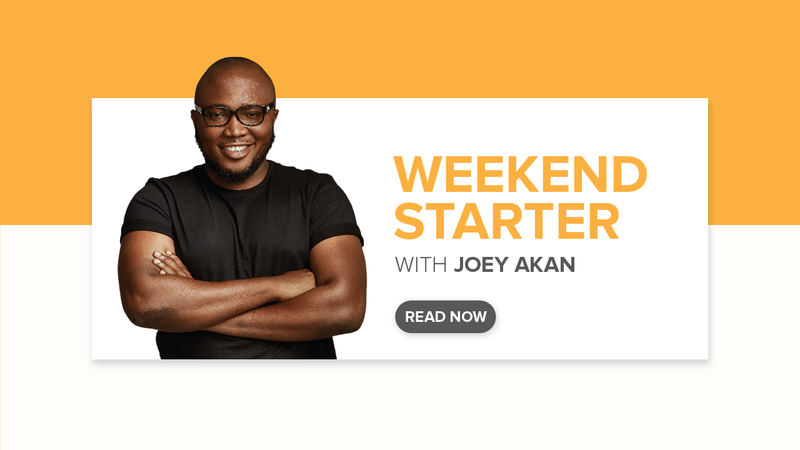 How well Golden State Warriors star, Stephen Curry, and Oklahoma City Thunder’s Kevin Durant play may determine who wins the best-of-seven Western Conference finals, tipping off this morning. 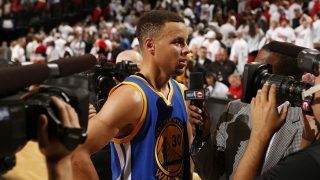 Stephen Curry returned from injury to deliver an overtime performance for the ages Monday, scoring 17 points in the extra session to lift Golden State to a 132-125 win over Portland in game four of their playoff series.